Statements are used to tell something true about something. The word statement is often related to serious matters that involves the law, court proceedings or public announcements. Not all statements are used in this manner and for such purposes, but it is true that they are used mostly in relation to legal and formal instances. One of the commonly used statements that we know of are statement of claims. In this article, we have prepared 15 statement of claims samples and templates that are available in PDF and Word. You may download these samples and templates for free and used them as your guide or reference while learning about statement of claim. We have also included discussions that you will find useful, like what a statement of claim is, what is its purpose, the advantages of a statement of claim template and many more. Check them out below! A statement of claim is a document or a written statement that provides details of the loss or damages that an individual is or entity has incurred from another because of certain reasons. The statements are made up of a series of details that are all complaints coming from the complaining party. There are two parties involved in a statement of claim and they are the plaintiff and the defendant. The plaintiff is the individual or entity who filed a compliant against the defendant. Th defendant is the individual or entity who is being complained of and is believed to have caused any damaged or loss to the other. 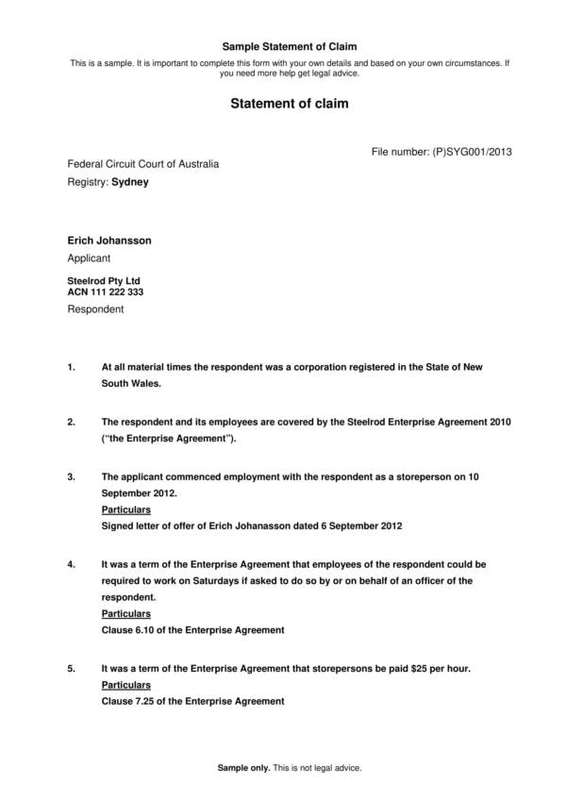 Statement of claims are legal documents and are processed in court until such time that an agreement is created and they are settled by both parties. There are a lot of different things that a statement of claims is used on. The following is a list of the uses of a statement of claims that you should be familiar with. 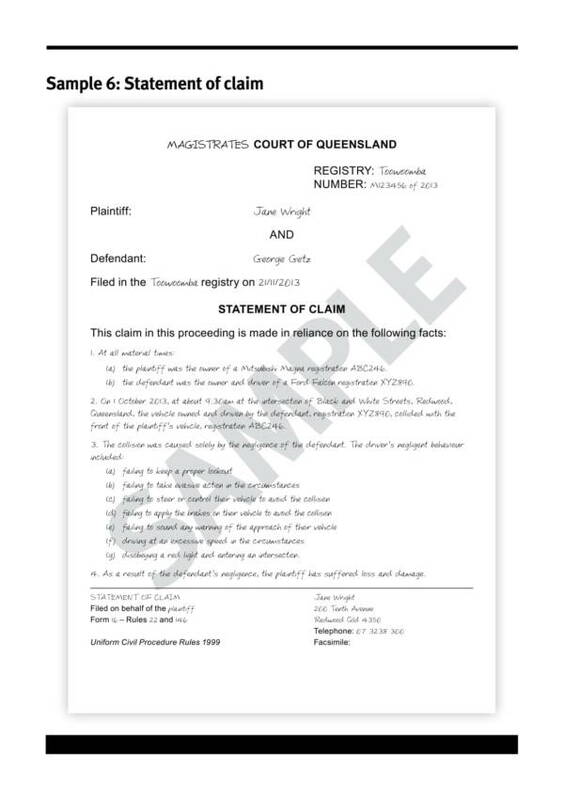 A statement of claims is used to provide a summary of all the details that can support any entity on their case if the dispute they have wih another party has been escalated to court. 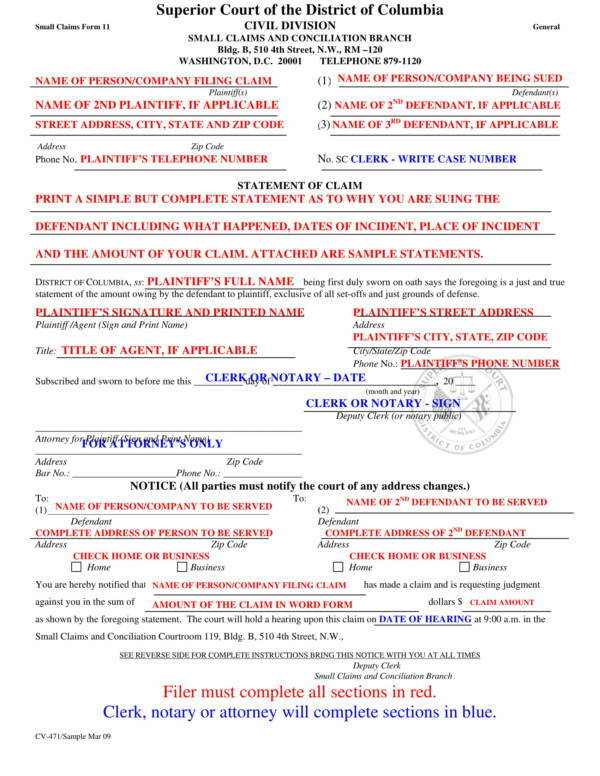 A statememt of claim is the start or the first step that an entity must take as part of thr process of going to court. 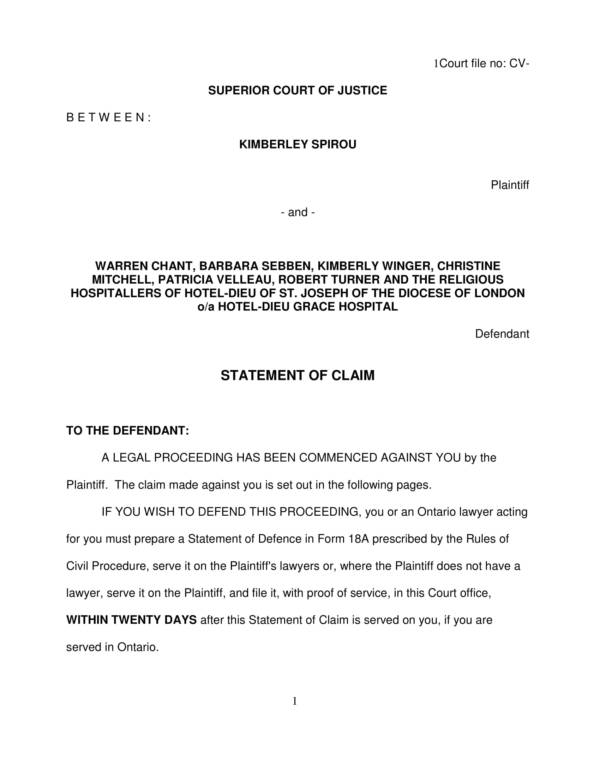 Through a statement of claim, the parties involved in the dispute are identified, whether they are individuals, companies or organizations. 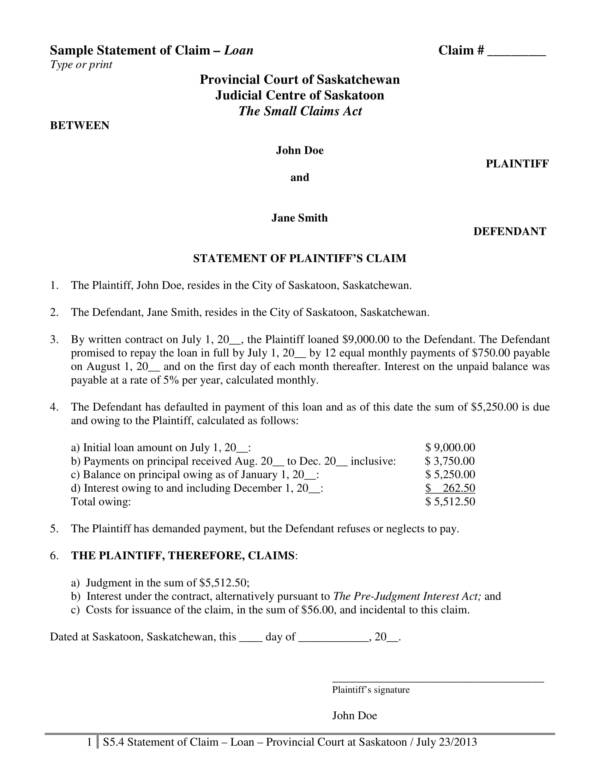 Through a statement of claim, one can provide every bit of detail of their dispute. 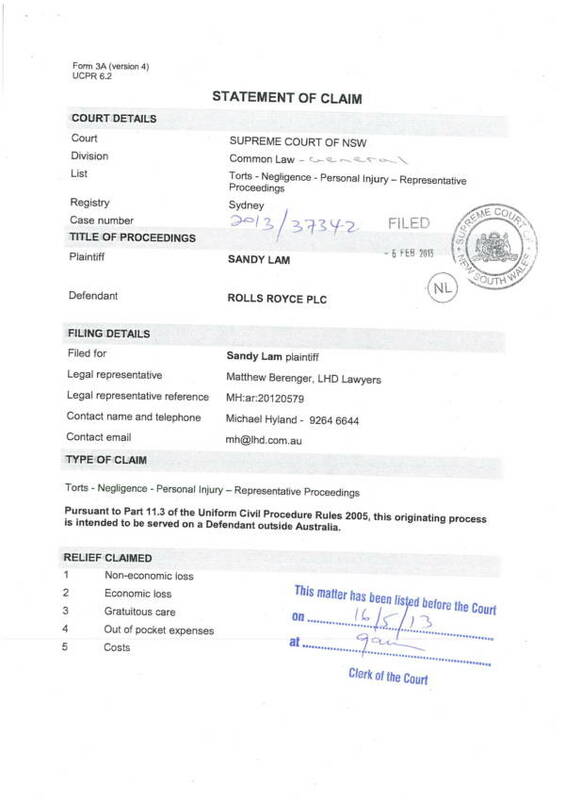 This is becomes the basis for the complaint or the legal action to be filled in court. 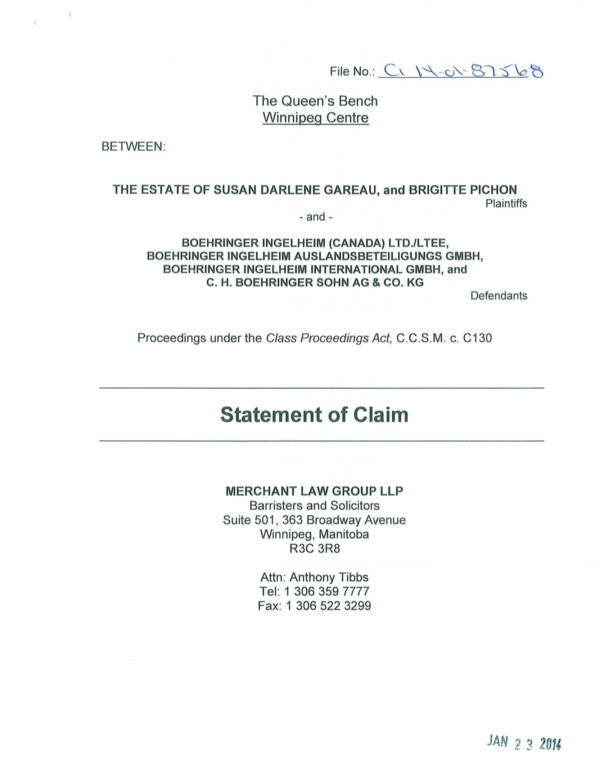 The statement of claims is where the pleadings and particulars can be found. They are the reliable facts that you need to prove your case, as well as the supporting details to make your claim stronger and more believable. The pleadings and particulars of a statement of claim are the basis of the things that are to be tesed in court. 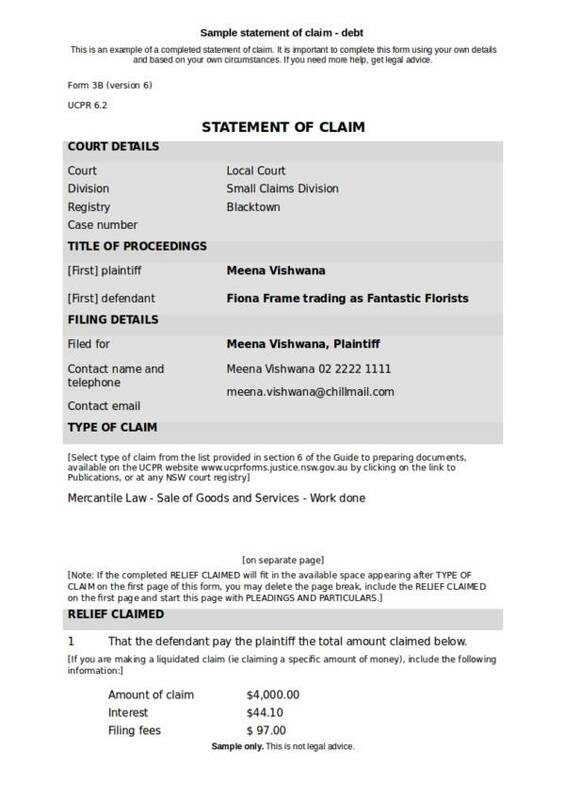 As mentioned above, a statement of claims is the first step that an entity takes as part of the process to bring a dispute to court. It is then served to the other party. This is doen so that the other party will have a chance to respond and defend themself. They are actually given 28 days to do so. Statement of claims are indeed useful. Other types of statements are also equally useful. If you want to learn more about statements and other related topics, then.you can find different varieties on our website. To name a few titles are Statement of Account Samples & Templates, Scope Statement Templates, and Compliance Statement Samples & Templates. Why would you want to use a statement of claim template or any other statement template that qre available to you? The answer is pretty simple. It is because therw are a lot of advnatages tgat you can get for doing so. Now, if you want to know what these advnatages are, check out the list that we have gathered below. It is pretty easy and convenient to use a statement of claim template where you can enumerate or list down all that you need to complain about. You can guarntee to produce a complete and reliable statement of claim document as the templae includes all of the necessary and important information that you will need to support your claim and make your case stronger. Statement templates are definitely not hard to find. You can look for any type of statement template that you need online wihout the hassle. A lot of templates in different varieties and file formats will pop out like pop corn. The only thing left for you to do is check and look for the one that best fists yiur need. Statement templates and even samples are mostly provided for free. You don’t need to pay for it just to get your copy. And if you can’t find the exact statement template that you are looking for, then don’t fret. There will surely be samples and templates that are similar or very close to what you need. You can use them ans then edit them based on what is appropriate for your needs. Isn’t that just wonderdul? Using a statement of claims template will surely save you time, energy, money and resources. How? All the things that you need is already in the template. 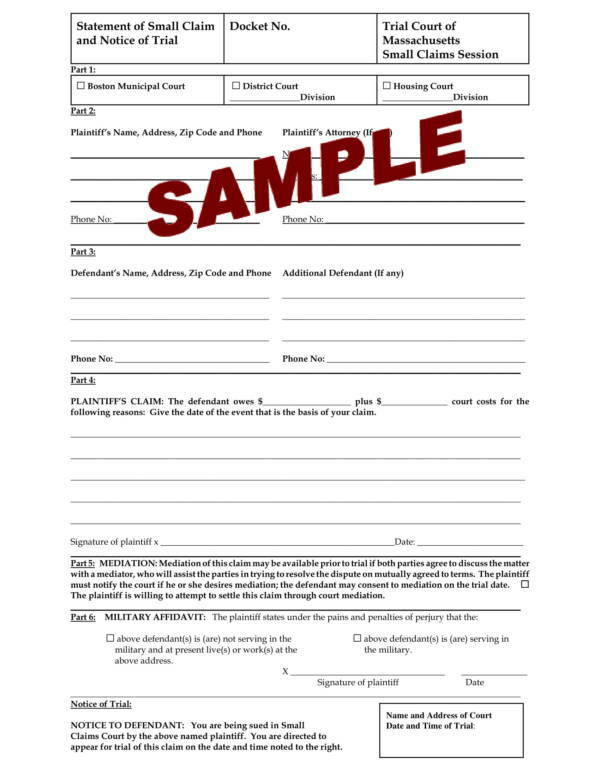 You just need to add in the required detaiks and fill in the blank fields to complete it. Compare that to doing everything starting from scratch. It is easy to use and edit statement templates because they are not only created using user friendly applications, these applications are also familair to us. Talk about PDF, Word, Excel and the likes. We’ve been using them.since we were young. These statement templates can be used for whatever purpose they may serve you. Yiu can use them as a guide or a study material to help you get familiar with any type of statement yiu are trying to learn about. Don’t you just find the advantages listed above wonderful? There are truly a lot of advantages that one can get with the use of statement templates. If you need to more statement templates and samples, then you might want to check out our website. We have their different varieties of statement samples and templates that you can choose from. Some interesting titles are Notary Statement Samples & Templates, Employer Statement Samples & Templates, and Rental Billing Statement Templates. What Should You Do If You Receive a Statement of Claim? Everytime we are faced with something serious or something legal, like a statement of claim, our initial reaction would be scared or terrified. Well, who wouldn’t be scared or terrified if somebody is making a complaint against you? But the best thing to actually do is to be calm and think abou it. Why? Because you can actually defend yourself from it. 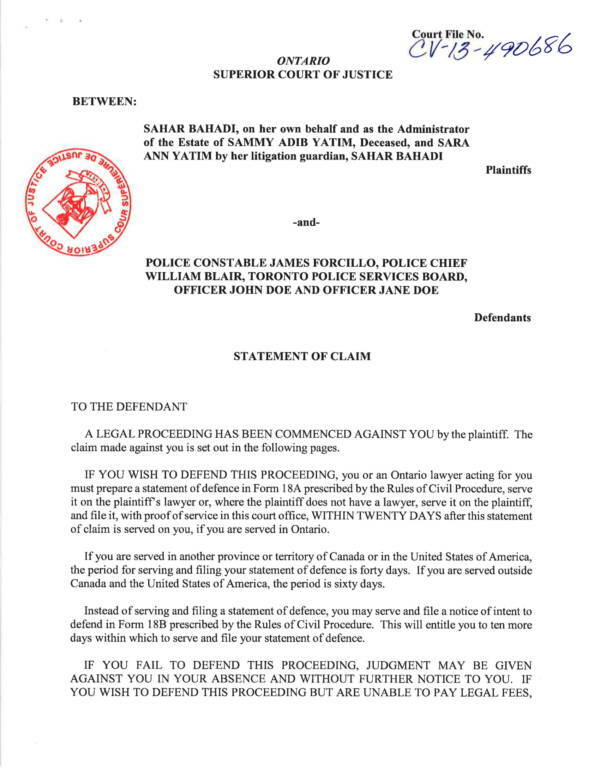 If you receive a statement of claim, you are allowed 20-28 days to answer to that complaint and defend yourself. This makes you the defendant and you will need to file a statement of defense to tell your side of the story or situation. The complaint could be anything, which means they can all be true, made up or a combination of both. So you will need to thoroughly read the complaint to check out if there is any truth in it for you. 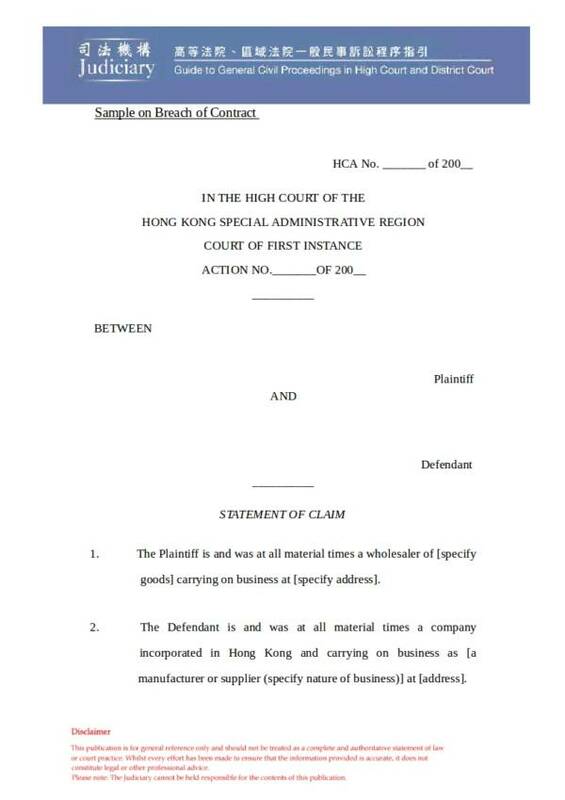 When writing your statement of defence, yiu will need to state facts and specific details to protect yourself againts this claim. Some of the things that you need to include the claims that yiu agree with, the claims that you do not agree with, the claims that you aew not aware of and the claims that you do not find relevant. Make sure that you include all of thr important details so as not to make your defence funny, embarrasing or unreliable. 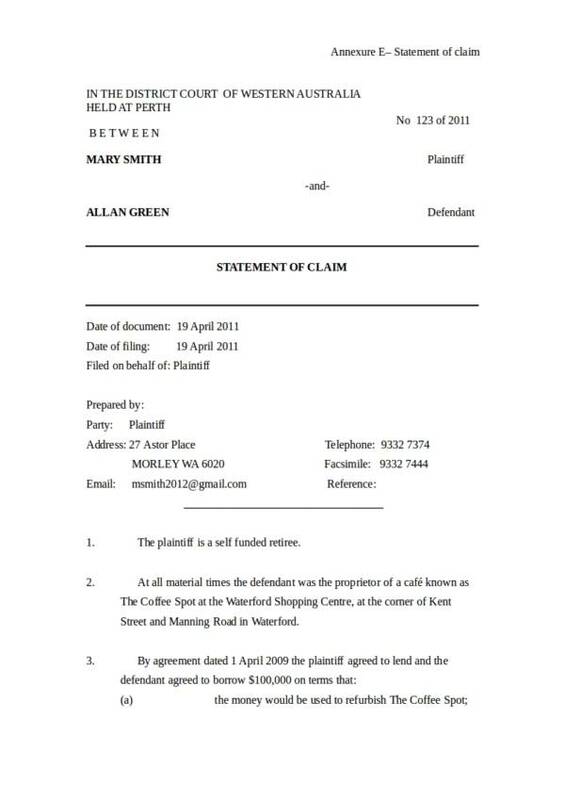 Every statement if claim has an address provided where you can address and send your statement of defence. 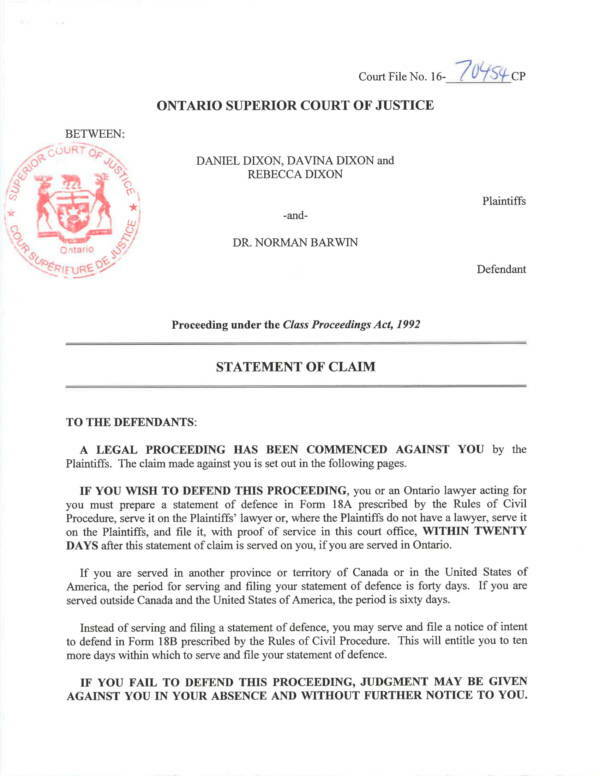 It can be sent via post mail or by faxing it to the plaintiff’s lawyer or give it to them personally. When you receive a statement of claim, make sure that you respond to it as soon as you can. If you just let it be then the plaintiff wil have you noted and default. What does this mean? This means that you agree to all of their claims even if you have not read it. 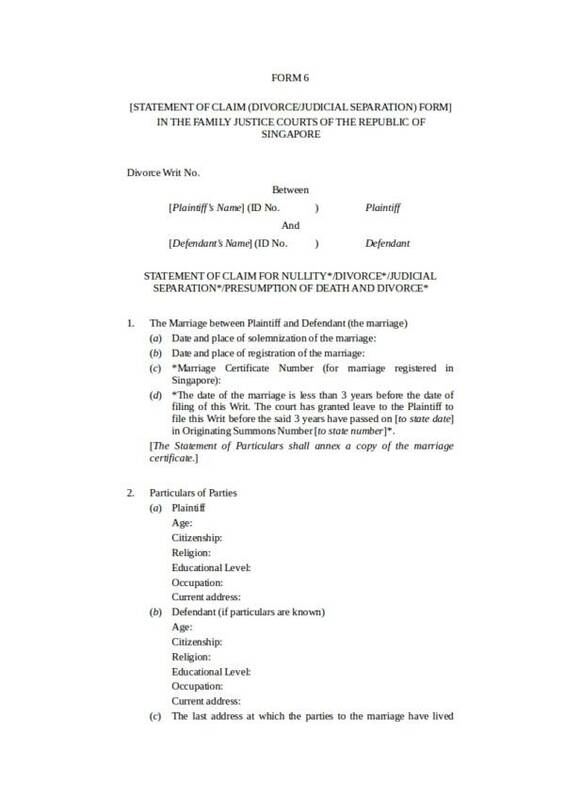 The court decision will be in favor of the plaintiff. The court will decide what thr outcome of the case would be even without your input in it. And you don’t want that. So if you are faced with this kind if situation, you definitely need to take action right away, instead of panicking and not doing anything at all. Other types of statements and other related topics are available on our website for free download. 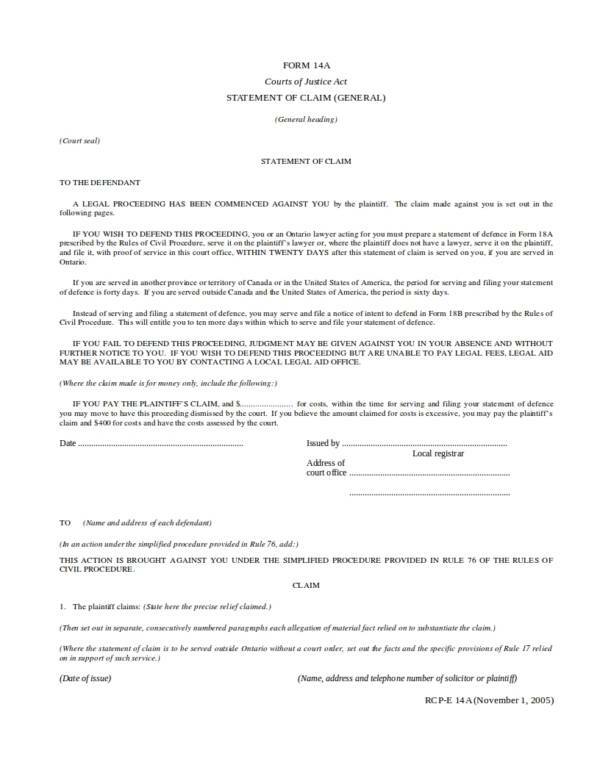 You may be interested in declaration statements, landlord statements, and narrative statements.